When it comes to getting access to all the data that flows through Twitter, there are the 50,000 apps that drink from Twitter’s Streaming API, which is subject to various limits. And then there are the chosen few who get the full unlimited firehose of data, the more than 50 million Tweets a day coursing through Twitter. In the past, only select partners, particularly big search engines such as Google or Bing, got the full firehose. Search engines need it more than others to be able to index and serve up results in realtime. 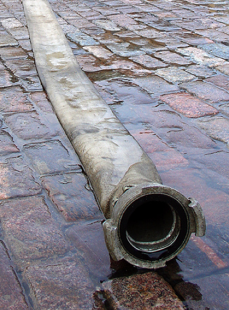 Today, smaller search startups are also getting the firehose. These include Ellerdale, Collecta, Kosmix, Scoopler, twazzup, CrowdEye, and Chainn Search (which has not yet launched). In December at Le Web, Twitter indicated that the firehose would open up to more and more developers. This is a step in that direction. And while Twitter makes deep-pocketed partners like Google and Bing pay for the firehose, it treats startups differently with more favorable (even free) terms, or at least it used to. These aren’t the first startups to get the firehose, and they won’t be the last. Once they get to a certain size though, they’ll pay if they don’t already. Apparently it works on a sliding scale.